DILLON, S.C. — What’s kitschy, glitzy and promoted by 175 giant billboards for hundreds of miles along Interstate 95? 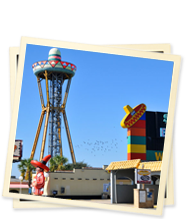 The answer is South of the Border, in Dillon, S.C., a 350-acre roadside attraction with shops, restaurants, and some really odd concrete statues, including a collection of iconic Pedros, a cartoon mascot with a Mexican theme. 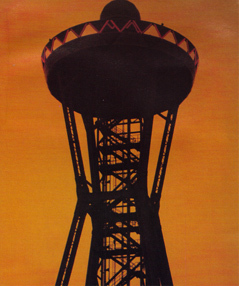 It’s highway Americana at its best, and if you’re driving I-95, you can’t miss it. But just to make sure, the billboards appear from the Virginia-North Carolina border to the South Carolina-Georgia border. That’s fewer than in the past, when 250 signs ran from Philadelphia to Daytona, Fla.
Times have also changed the nature of the signs. They’ve become more politically correct by eliminating most of the exaggerated Spanish and broken English puns. 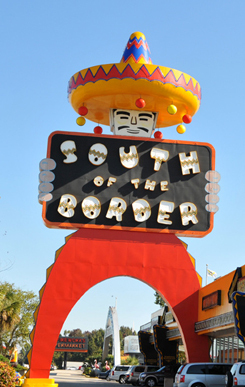 South of the Border has a history as colorful as its lights at night. It actually started as a beer stand. Alan Schafer and his father were in the beer and wine business in North Carolina, but when the area went dry, they moved across the border to South Carolina to set up shop in 1949. 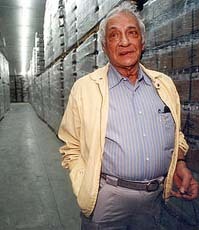 Legend has it that when Schafer ordered building materials a few years later, they were delivered to “Schafer Project South of the (North Carolina) Border.” He thought that was kind of catchy and named his new enterprise South of the Border. From there it was a no-brainer to add Pedro and the Mexican theme.